Hey y'all! Mother's Day is coming up soon (it's Sunday, May 13 so you still have plenty of time to get mom the perfect gift)! As you know, I'm a mom of two girls. Julianna is seven and Olivia will be five this month. I have work part-time as a lead STEM teacher at an afterschool program and I run this blog on top of motherhood (which is certainly a full-time job) so I'm a busy mom and literally always on the go. I have made a list of a few style tips to help other busy moms stay functional and fashionable everyday. 1. Plan ahead. On Sunday afternoons, I check the forecast to plan out looks for the whole week. I literally even plan out the accessories, shoes, and bag that I will use. Sometimes I take pictures of this outfits to reference on my phone during the week . I absolutely do not have time to think about what I'm going to wear at 6:30 am on a Monday morning. Planning makes mornings less stressful. 2. Choose a statement piece. I always pick one item that is the center of attention in my outfit. Sometimes my bag or necklace is the statement piece and everything else is simple. 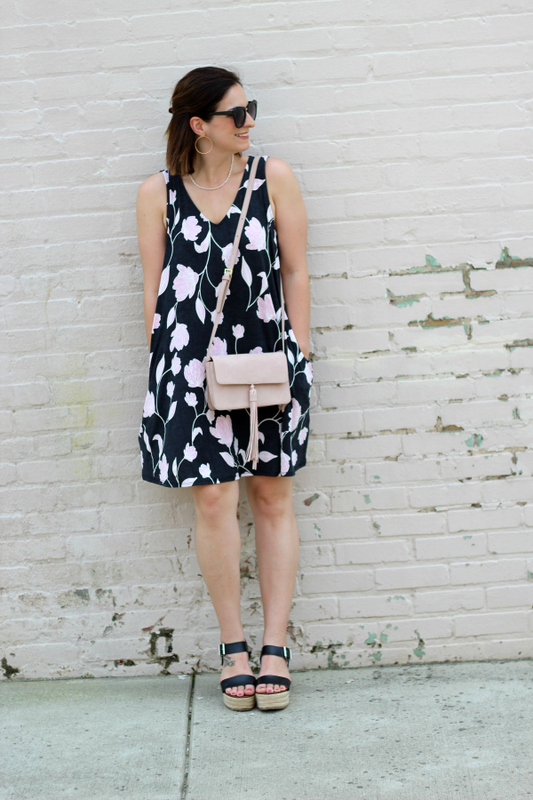 For the look in today's post, the dress is most definitely my statement piece. 3. Wear dresses. 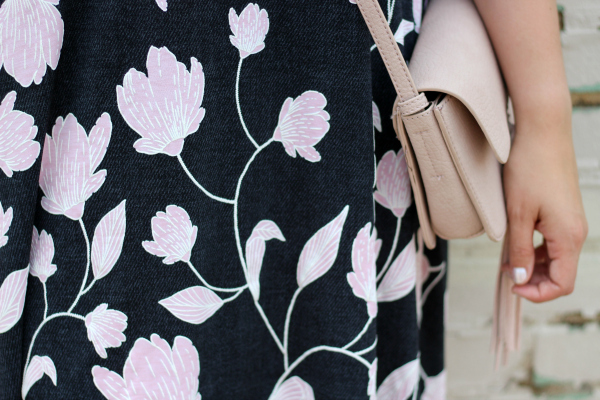 Dresses are absolutely the easiest way to look put together and fast! 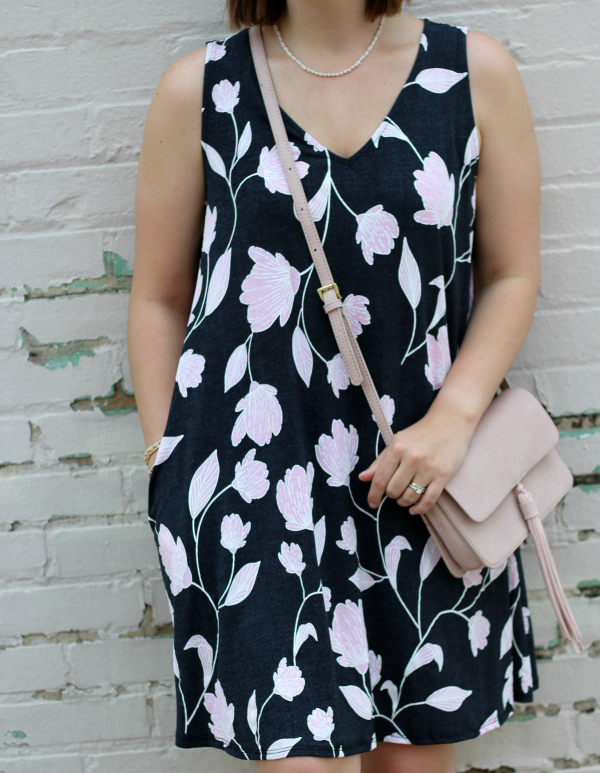 Throw on a comfy dress (today's dress has pockets which makes it perfect), a functional purse, and comfy sandals. Outfit complete. You could literally be dressed in two minutes. I love, love, love dresses! 4. Get rid of uncomfortable clothes. This seems obvious but clothes that you don't feel good in, get rid of them! This will make getting dressed more simple because you won't be tempted to try on something in the morning that doesn't work for you. I have been guilty of having a pile of clothes that I dislike in my closet thinking they might work later. Let 'em go! 5. Be you. Who cares if you might be overdressed or too casual?! Wear what you love. Your confidence and beauty always shines from within anyways. Today's look features this absolutely perfect throw on and go dress from BohoBlu! I'm all about simplifying the getting ready process as you have read above so when I tried this dress on, I knew it would be a go-to dress for me this season. It's a swing dress so the fit is loose yet flattering and the print would be gorgeous on anyone! I added my Sophi crossbody bag, black flatform espadrilles, gold hoops, a beaded bracelet, and my white adjustable choker necklace. I hope you find my tips helpful! Also, you can get free shipping at BohoBlu throughout the month of May on orders over $50 plus you can save 10% your order with my code EMILYXO! Have a great day! Great tips Emily! Even though I am not a mom yet, these will come in handy! Great tips for any lifestyle! Thanks for sharing! Such great tips! Love the print on this dress & your wedges are adorable! So many great tips, and a beautiful dress! I totally agree that planning ahead helps so much! When I was working my full time job, starting my marketing business and blogging I had to plan ahead or I would always grab whatever was close and not feel as great about myself. that dress is so fabulous on you! loving the blooms.